Do you remember Anne Ready who won the picture contest during #IMEX14? Well this March she collected her dream trip to Holland and of course I asked her all about it! Was it your first time in Holland? No it was my second time.This time it was completely different than the first time I came over. You spend time in Amsterdam, The Hague, Noordwijk and Rotterdam. How did these cities differ from each other? They are all very different in style and atmosphere and each offer something completely different. What was your favourite moment of the trip? Awe that’s a difficult one – I think if I had to pick one it was our corner suite at the Grand Hotel Huis ter Duin (plus I have a soft spot for Noordwijk). Would you recommend Holland as a meeting destination? Yes definitely – easily accessible from outside of the Netherlands, fantastic public transport – efficient and modern and good size meeting venues and hotels. 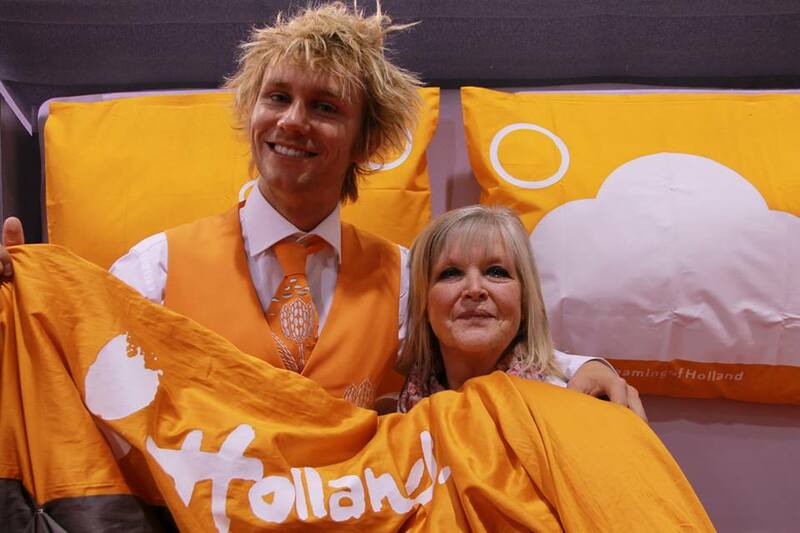 What is your overall impression of Holland as a business destination? I was very impressed and cannot recommend it enough to my clients (and have been). I already have received proposals from Beurs van Berlage & de Doelen. Thank you for my most amazing weekend! Everyone was very welcoming, we were thoroughly spoilt and have some lovely memories – and all just because I got into bed with Mr Holland!! It was our pleasure Anne! On Monday the 27th it’s one of the happiest days of the year in Holland: King’s Day! Remember the tourist review I did with lucky price winner Daise? You still have time to participate in the biggest orange party of the year! 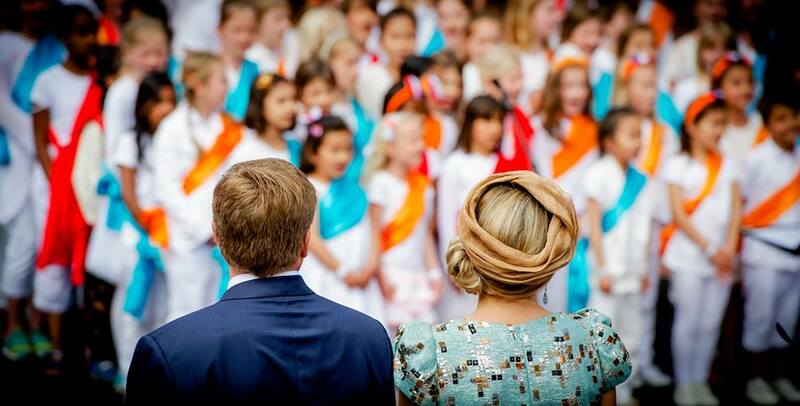 This year the King and Queen will visit Dordrecht, a city in the western part of the country. What can we expect during this day? Find out in this blog! Every year the King and Queen (and others of the Royal family) visit one or several places in the country to celebrate together with the nation. This year they will visit beautiful Dordrecht. Between 11:00 and 13:15 they walk a route between Groothoofd, via the Great Church, Scheffersplein and the Court to Statenplein. After the visit of the royal family is done, there is still much to do in town. At several places you can find live music, dj’s and amateur street musicians. And of course there is a flee market and lots of nice food stands! Wherever you are.. There are local celebrations everywhere! Visit the big flea market in the Vondelpark early on in the day. Or even better.. start celebrating the night before King’s Day during one of the more famous music festivals in The Hague. 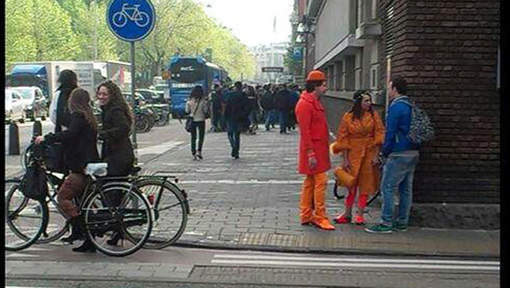 What is King’s Day and why the orange? A lot of people ask me these questions. What is up with the colour orange? And what do we celebrate during King’s Day? Check out this page full with interesting facts and information about our Royal family, the colour orange and more fun stuff to do this Monday. I can’t wait! Will I see you in orange this King’s Day?